Strictly Better: Should You Care? There are just under 20 thousand canon Magic the Gathering cards. The vast, vast majority of them are unplayable garbage. Most of that garbage fills a purpose of limited fodder of course, but that doesn't change the fact that for anything but draft you'd never way to run a Throttle, unless it was the only removal you had access to in 60 card casual. With this in mind, assume for the rest of this post when I talk about cards being "good" or "bad", I'm referring to them being strong or weak in a constructed format, with Standard as my baseline for the weakest a format can be that we can evaluate cards in. I want to touch on the subject of "Strictly Better", because it's something that comes up a great deal in the custom Magic community. Most notably, everytime someone prints a kill spell, people immediately compare it to Murder, as that has become the iconic kill spell of this era. Perhaps for a fair reason: Murder is simple and has no obvious downsides. For 3 mana (1BB), at instant speed you can kill a creature. Regardless of whether its an artifact, legendary, black, or a vampire/werewolf/zombie, Murder can and will kill it. It's been printed repeatedly, and has an evocative name. But in reality, Murder is a terrible card to compare things to. Why? Because it's not good. 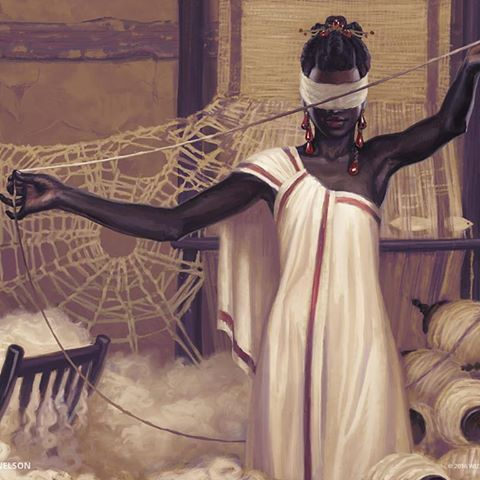 Murder has seen play in Standard environments, but only rarely, and usually as the 5th and 6th copies of a removal spell. It's big brother, Hero's Downfall, is a much more reasonable comparison, but even that tends to not see play when it is sorcery speed (Never//Return and Ruinous Path are failed members of the family). Without going into a whole rant on this subject, the core of the problem here is that Murder isn't a good baseline for how strong a kill spell can be. Strictly Better Murder isn't a problem. But, I would argue, strictly better Hero's Downfall might be. The vague metric I'd like to propose for conversations of "Strictly Better" is as follows: If a new card would be run in addition to the card it is strictly better than, then it is problematic to print a strictly better version of the old card. Why? Because the old card was already good enough to see play, and good enough to want more than 4x copies of that effect. Too strong doesn't mean its a bad design, but it does mean that "You do realize this is a strictly better lightning bolt" is a very reasonable criticism. This applies to threats as well as answers, but it is much easier to assess answers in a vacuum, so that's what we'll be focusing on. On the other hand, if a new card would replace the old card in all formats that it is currently played, that likely means it isn't as much of a problem. The old card was something people were running out of necessity, and wasn't a strong enough effect to want multiple copies of the effect. Strictly better than a card people barely tolerate means you shouldn't really be worried about it, unless the design is bad for other reasons. A card being a strictly better Tormenting Voice isn't a balance problem inherently; although Tormenting Voice has been printed in a ton of sets and is an iconic looting spell, it isn't actually good enough to see play in most decks, other than some fringe graveyard decks without access to better options. There isn't a deck running 4x copies of Tormenting Voice that would happily run 6x copies if it had a functional reprint, or 2x Tormenting Voice and 4x Tormenting Voice at instant speed. And finally, and I hope obviously, if an old card sees no play a format, printing a strictly better version of that card into that format holds no inherent problems. You can't base balance off of cards that see 0 play, because they are clearly too weak. For constructed, a "strictly better Throttle" that cantrips is impossible to evaluate, because Throttle doesn't see play. This card is better, but is it good enough to see play (based on grasp of darkness seeing fringe play, probably not?). A strictly better version of an unplayable card is equivalent, design wise, to printing a totally new card. You're exploring design space where you're closest equivalents are all different playable effects. You couldn't compare Throttle+ to Throttle, but you could compare it to Vraska's Contempt in the same roundabout way you have to compare all removal spells (What does this hit in the context of the format? What doesn't it hit? What's the upside? Is it fast enough?). In the case of Throttle+, it is far too weak. But it is strictly better. So as a result, if your first critique is to point out that a card is "Strictly Better" than an unplayable card, or a fringe card, your critique is unhelpful. In fact, it is flat out useless. Instead, you should compare it to a playable card with a similar effect. If you don't have a good enough sense of balance in constructed formats to give critique based on those, your critique is going to be generally limited in its effectiveness (pun intended), although that's a post for another day. An additional note: a card's playability in EDH or other Highlander formats isn't a good indicator of a general playability, given that those decks need a higher density of effects, and are thus willing to run the 5th and 6th best versions of related effects. Also EDH is a casual format and thus people aren't concerned about optimal deckbuilding, which influences the cards people are willing to run. I really love these deep dive editorials you post, thatdamnpipsqueak. Makes me feel like I need to step up my cookie in terms of writing quality. Solid take. Thanks for sharing. I think this post misses a fundamental problem with "strictly better" designs - there a lot of designs that are exciting entirely because they outclass other cards. I know I hate on Sylvan Advocate, but absolutely no one would bat an eye if that was printed at - in this case, yes, saying Sylvan Advocate is "strictly better" than Greenwood Sentinel is irrelevant in that no one plays Greenwood Sentinel unless you're very new. This is the problem with calling a card strictly better or worse than another one - a card can be "good" (playable) without being "good" (well-designed). Usually we're focused on the latter here, but strictly better/worse is only relevant when talking about the former. To start with, strictly better is an argument that is most often used for help in deck building. The places I have seen that argument used in set design was often to point out to a fledgling designer that there is already a better version of the wheel they are designing (as the professor from Gilligan's Island would have found out anytime he got off the island). Secondly you never define the term "strictly better" which is extremely important anytime that you expound upon this matter as there are a lot of people who misuse and/or misunderstand this term. and gains or loses one of the following aspects. Any definition of strictly better will also leave places that you are comparing apples and oranges (this is 90% of MtG). Example: Ornithopter vs Crimson Kobolds neither is strictly better or worse (Ornithopter is larger with a Flying ability, but gains the aspect of being an artifact which in this case is generally viewed as negative although it could be either). In these cases strictly better should not be used to define why a certain card is better, but instead it should be pointed out that in the environment this deck will be in one or the other is better based upon the decks they will be facing (and why). Having defined it in this aspect bear in mind that given your 20,000 card pool there can be unusual times and places that a strictly better card is not better in a certain deck, for example with the use of Muraganda Petroglyphs, Skullclamp (for a /1 toughness), or a Clash deck. Not to mention environments that have certain types of hate such as Chalice of the Void there can be times that using a strictly worse card can be beneficial. Thirdly, your argument must be extremely format sensitive, please just define the format you are discussing. I primarily play Vintage/Legacy with a little Modern thrown in (and I really don't know the meta for Modern so I won't speak to it) and I had too look up the card Murder to even know what it did but then in black those formats are dominated by the Edicts and as Murder is neither strictly better nor mildly better than even Terminate‌, or any of the white removal spells that people splash for nobody would even talk about it in discussions. voltaic-qui Yes, I definitely overlooked that line of discussion. A card being strong doesn't make it well designed. I also think it's worth explicitly stating that a card being weak doesn't make it well designed either, nor does a card being strong make it poorly designed. But I agree really strongly with the last line of your post, and that's the attitude I was addressing when I made the original post. The feedback of "strictly better" doesn't give any useful information in terms of design, and (as my post argues) doesn't necessarily even give useful information in terms of balance. In the context of formats with Goyf, Sylvan Advocate being strictly better than a grizzly bear is irrelevant. impspiritguide Thanks for your efforts in defining strictly better, I definitely assumed that the term was relatively well understood by the intended audience of this post. The rest of your post deserves a longer response. Firstly, while I agree that in the magic community at large, the term strictly better is frequently used in the process of deck building, it's also commonly used in the context of card evaluation. When a new card is printed, if it is better than an existing card that see splay, people flock to the comment sections clamoring about "power creep" and "strictly better". Additionally, within the context of just custom magic (based on my experiences, at least), people use strictly better a lot to compare custom cards to canon ones. This post was very much intended to be speaking towards the last usage case, rather than the other ones. It is possible that our experiences just differ here, however. Secondly, my argument was attempting to not be format specific. I mostly play Legacy (and follow Modern and Standard), so I can't say I've ever played in a format where Murder is a premier removal spell. My decision to use Murder as an example was due to how often that card is cited in the context of "strictly better" card evaluations by designers who lean more towards a standard power level. In general, this is not a pitfall that plagues designers with experience in eternal formats, as they are more familiar with playing with powerful cards, and how to balance those cards. It is good to know that this post was less accessible than I'd originally intended, and more skewed to an experience or power level that was not as universal as my experience suggested. That context makes the OP make much more sense, thank you. As to those who flock to the comment sections, it appears you give them the same amount of power as I do, which is to say little. The hard part is sometimes there are jewels of wisdom within the comments amixt the loud tenor of ignorance and officiousness. As for the second, how often do good custom magic designs actually compare strictly to existing cards outside of the vanilla creatures? Good design searches for something new. Admittedly with a 20,000 card pool this becomes more difficult, I believe this is why Hasbro/Wizards keeps modifying the way that it releases sets, and why the rise of drafting options such as cube have become more commonplace. Perhaps the reason you see strictly better used as a reply this often is due to the fact that this is the same commenters commenting on released cards. My own personaly question concerning strictly better, which is why I defined it as I did, is why is the "strictly better" option is even around. The original definition for a strictly better card was a card that was either better or equal to the other card in every possible game scenario. That definition hasn't been viable for a long time as it is an inconsistent logical statement as given the large card set there are decks and situations that can mean a "worse" card is better. The one exception to this fact is the basic lands. This is why Hasbro/Wizards has had to maintain control on one aspect of the game, to make sure that the basic lands maintain supremacy, you will never find a card that negatively targets only basic lands, this would poison this claim logically. Outside of this a card can never truly be "strictly better" than another card. If the first player places a Chalice of the Void out with a single charge counter then the second player using Lightning Strike over Lightning Bolt will be in a better position. As to those who flock to the comment sections... ...The hard part is sometimes there are jewels of wisdom... ...within the comments... and officiousness. This is one of the biggest problems I run into. People think that I'm just stubborn and not open to critique, yet the only behavior I do to justify such an opinion is that I don't just take advice as if it is this grand, glorious gift from some god of a player. So many people seem to get off on being as snotty and smug as possible in their critiques, and then they wonder why I call them out on their !@#$. Bringing it back to topic... one of the reasons I've been enjoying thatdamnpipsqueak 's posts is because it cuts right into the heart of a lot of the most common "lazy" critique cliches and exposes why the assumptions made in those cliches often seem more pedantic than actual constructive criticism. That instance was not the only time that I've run into this sort of behavior. Your comment about me in this thread is unproductive and borderline harassment. I'd say Tesa has a point but trying to apply it to that situation is like trying to put a square peg in a round hole. The whole discussion about how valid someone's criticism is to you is probably better suited for another thread. Tesagk - Passive-aggressively accusing people of harassment over what I literally said was "on the really polite end of the spectrum" isn't going to help how people perceive your stance, fwiw. You should be really glad you're not talking to colinbeck right now. Something that comes to mind when reading this thread is the printings of Terror vs Shatter situation in OG Mirrodin block - WOTC knew that an artifact-heavy environment would turn certain situational cards into much more useful ones and reprinted Brown Ouphe and Atog for those reasons - had Arcbound Ravager not existed I'm curious as to how that would've turned out. I'm admittedly curious as to whether there are situations out there where a strictly worse card is actually a more interesting print in an environment - a simple example would be a wrath that hits less card types on the field being able to give you more control over what you want to stay on the field. There's nothing passive-aggressive about it. I'd call it harassment, as it adds nothing to the thread and specifically tries to slander me, but it's clear that the mod team won't agree with me on it, hence "borderline." I'm willing to continue this discussion with you in PMs, but as of right now you're derailing the thread. I also don't advise assuming what the mod team thinks of this either, because it only validates that you're making a ton of assumptions about what people are saying and letting it get way too under your skin.